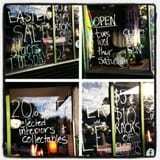 4 Day Easter Vintage Sale. Starts this Tuesday 26th March through to Thursday 28th March. We'll be closed on Good Friday, but open again for trading Saturday 30th March then closed again on Easter Sunday. 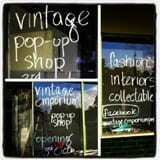 Find us at Vintage Emporium 216 Whatley Crescent Maylands. The next appearance for 20th Century Vintage is this Sunday 9th September at Go Go Retro Vintage & Vinyl Roadshow. The vintage fair is at the State Theatre Centre of WA which is one of the newest architectural landmarks in Perth. I'm very excited to be part of an event that's being staged at this great new venue. Here we are with our new look and in our new home! 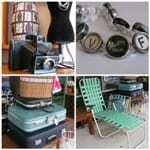 We look forward to regularly bringing you fabulous new finds. https://20thcenturyvintage.com.au/wp-content/uploads/2011/02/Copy-of-20thCV-square-logo1-final.gif 200 190 20th Century Vintage https://20thcenturyvintage.com.au/wp-content/uploads/2015/11/Logo-white.png 20th Century Vintage2011-02-21 02:54:002019-04-16 11:34:11Welcome!